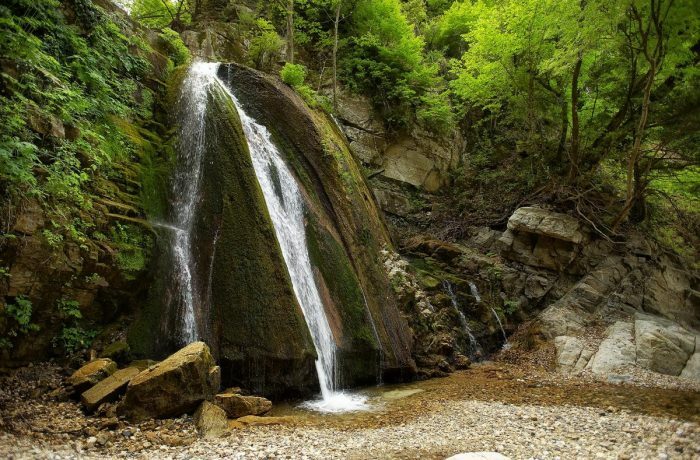 Between the villages Varvara and Olympiada, one can find two amazing waterfalls in a forest full of taxus, alders, lindens, beeches and wild hazels. Both the location and the feeling of calmness and serenity will make you feel like you have discovered a small paradise. You will notice the two waterfalls entering the ravine after you have parked your car. The water leads to Mavrolaka, a river that is the boundary between Olympiada and Varvara. You will see the first waterfall from above, whereas in the second one you will feel its momentum even in the summer. It takes a short walk (5-10 minutes) to discover this wonderful place. Both the wooden bridges and the proper marks on the path contribute to the enjoyment of the unique scenery. It is ideal for families with kids who will be thrilled! 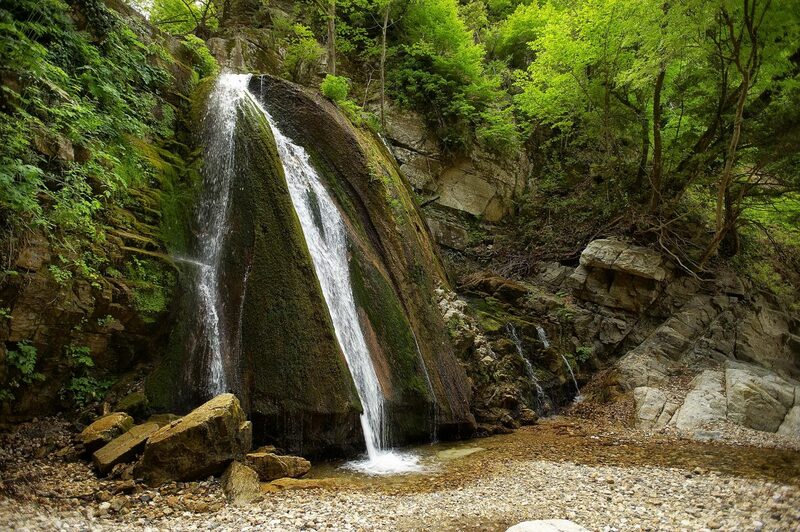 The waterfalls of Varvara are hidden in its dense forest around 8klm from Olympiada village. Taking the road Varvara-Olympiada (one of the most scenic routes in Halkidiki) you will pass through the 5 characteristic faucets (it is called Krassoneri) and you will descend until you see the related sign on your left. You take the passable dirt road and caution is needed in 2,3 km: the correct route is turning left following the hairpin. You will have reached the parking lot of the waterfalls after 900 m. If you turn slightly to the left you will reach after 4km the area of quarries whereas if you head east you will reach Kalyvia of Varvara.